Impressive progress has been made in the field of Next Generation Sequencing technologies, and the power of high–throughput NGS platforms are being harnessed by researchers to address an increasingly diverse range of biological problems. Role of bioinformatics is getting bigger and bigger in management and analysis of the enormous amount of biological data generated through research globally. Recent genome studies have shown that 50-80 % of most eukaryotic genomes composed of Transposable Elements or Mobile DNA. Due to repetitive nature of these elements, genome assembly become challenging. In this workshop we will resolve some of the problems of genome assembly and annotation. To train and capitalize the human resources for carrying out Next Generation Sequencing and Big-Data Analyses. 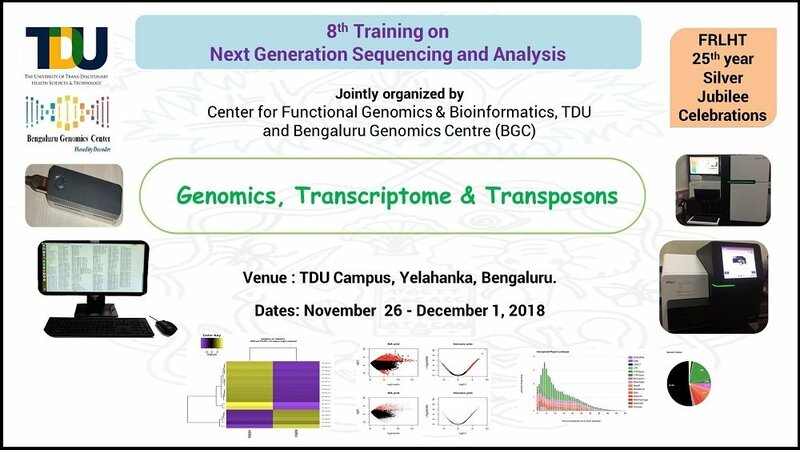 To develop bioinformatical tools to dissect elements of genomes, transcriptome, and transposons. Students, faculty and scientists from academics and industries including Life Sciences, Computer Science, Medicine, Agricultural Science, Environmental Science etc., are encouraged to participate in this event. Listed on 24 Oct 2018.